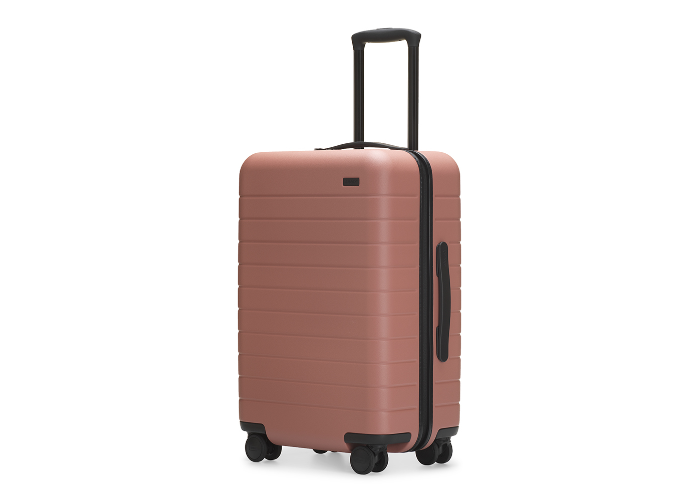 Rashida Jones has partnered with your new favorite luggage brand Away for a capsule collection, and the results are the stuff of our minimalist, pastel dreams. Away has been hailed as a celebrity favorite, and it’s not hard to see why. 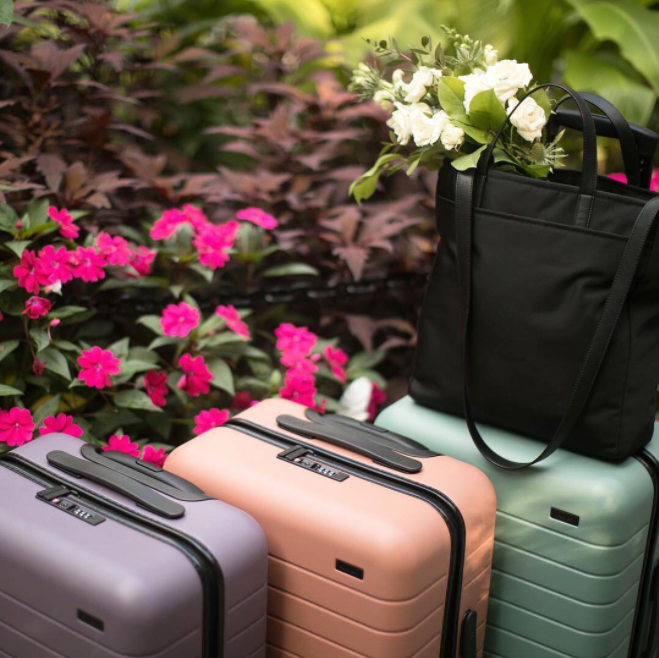 Inspired by her travels to Stockholm, Sweden, Jones’ capsule features three new pastel colors of the brand’s classic carry-on, a chic black tote, and packing cubes. Boasting gorgeous hues reminiscent of a Wes Anderson movie scene, the carry-ons are available in dusty pink, cactus green, and violet. I mean, will you look at these? The carry-ons have scratch-resistant exterior, several compartments in the interior, built-in batteries to charge your USB devices, and even TSA-approved combination locks for maximum security. They range in price from $225 to $295, depending on size selection. "I have always been incredibly charmed by Scandinavian design (furniture, textiles, and architecture, clothing). Aesthetically, they've done a masterful job of combining what's great about every era of the history of their design. And they manage to do this with simplicity and elegance and discipline." 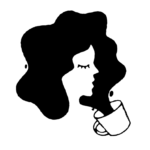 We also can’t get over the stunning promotional photos for the capsule, which look like they belong in a hipster catalog — one that can be found on an oak coffee table situated in a well-appointed Brooklyn apartment. We see you, Rashida. We see you. 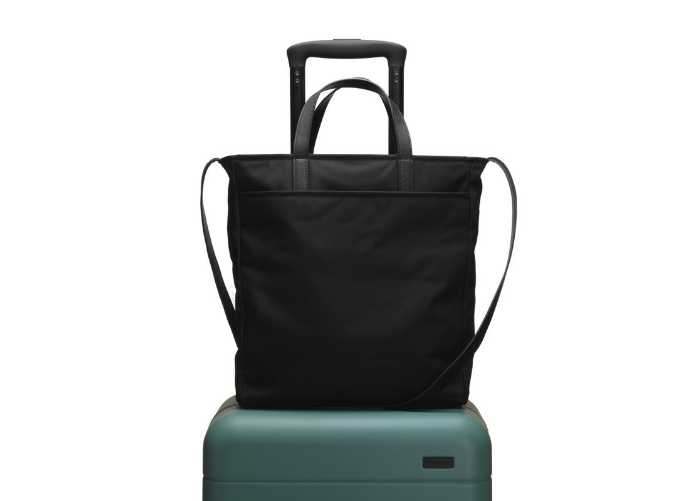 The Carry-On, available in assorted sizes and colors. 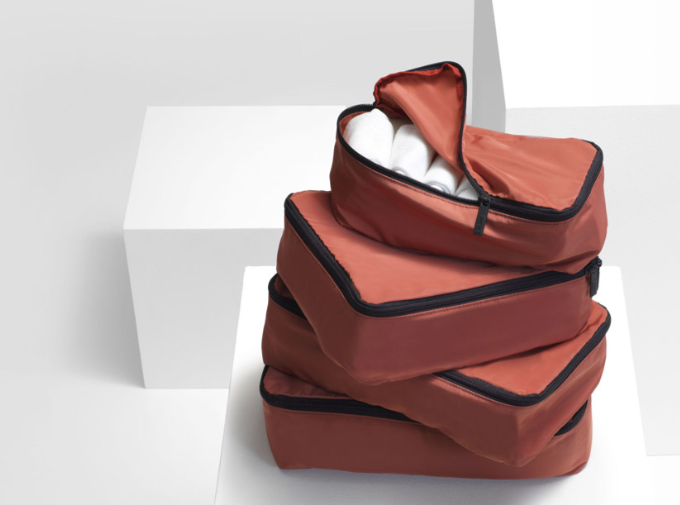 Packing Cubes, in assorted colors, $45.